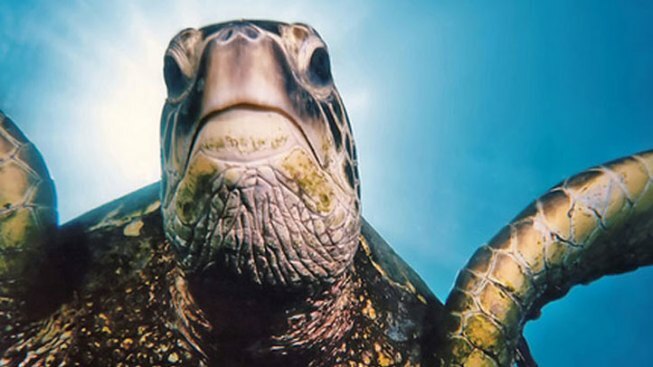 OD the turtle will be heading to The Shark Reef Aquarium at Mandalay Bay Resort and Casino in Las Vegas. The turtle to be shipped is not the one pictured here. It will be heading to The Shark Reef Aquarium at Mandalay Bay Resort and Casino in Las Vegas. A 320-pound green sea turtle is being FedExed from the Florida Keys to Las Vegas, the Florida Keys News Bureau said Wednesday. OD is believed to be about 50 years old, but cannot be released back to the wild because it is missing one of its two lungs. Although the turtle has been cared for at the Florida Keys-based Turtle Hospital for almost five years, hospital officials had been trying to find the turtle a more comfortable home. OD will soon be in a new 1.3-million-gallon aquarium in Las Vegas, where it will live with other cared-for marine animals including sea turtles. 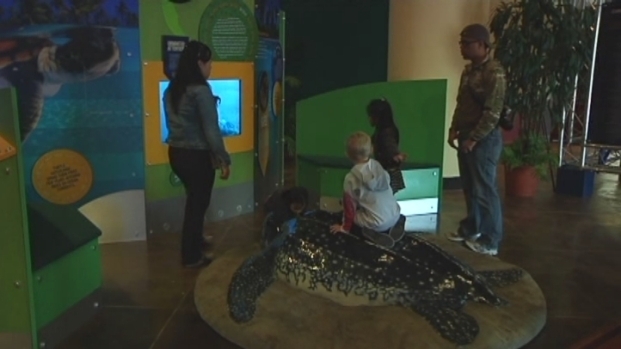 Zoo Miami's Ron Magill says kids will love the National Geographic exhibit. Diannie Fonseca said she loves taking her daughter to the zoo. The turtle is being placed in a transition pool and has to undergo a medical examination to ensure it is fit to travel.